Nine men on board all killed. If he had crashed anywhere short of that storage yard he would’ve hit houses, and I hate to think how many people would’ve died. 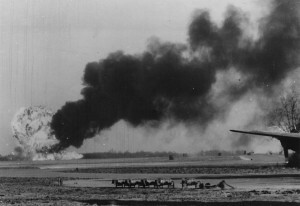 The burning wreckage of a B-24 Liberator of the 93rd Bomb Group that crashed on take-off at Hardwick airbase on the 3rd of March 1944. On the Home Front – far from the risk of enemy fighters and flak – danger was a constant presence. Airmen, ground crew and civilians alike were constantly faced with the treacherous reality of the air war. The challenges caused by working with heavy equipment, aircraft and explosives in poor weather conditions and within close proximity to populated areas proved deadly for many servicemen and put local civilian populations at high risk. 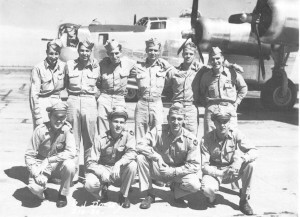 Ground crews too fought constant exhaustion and bitter cold working tirelessly to keep thousands of bombers and fighters airborne until the end of the war in 1945. Witnesses tell of constant crashes, exploding bombs, and a multitude of other dangers present on both active airfields, and in the skies above East Anglia. “…It was a very dark, murky day, low cloud, drizzle. 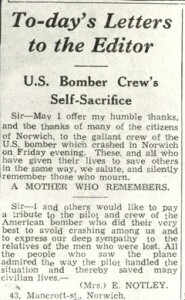 In any Bomb Group there’ll be certain crews far less experienced than the others and, of course, the same applied to Horsham St Faith. There was quite a few crews that didn’t have much instrument time, in that they weren’t used to flying on instruments. The operation officers of the squadrons they decided, as there’s no mission we’ll get some of less experienced crews up on a bit of formation flying. The weather clamped down worse than they expected it to, then they recalled most of the aircraft and it was a bit of a job landing them. But one particular aircraft, Lt. Dooley’s aircraft, landed too far down the runway and couldn’t stop, so he opened the engines up to go round again. I’d just come home from school and I could hear aircraft engines, you lived with it all the time, but you always knew when a plane was in trouble. I could hear these engines over-revving, they were making one heck of a din. I remember running outside into the back garden and I was just in time to see this Liberator diving behind the buildings. Next thing, I remember feeling the ground shake and then the explosion, a great ball of flame going into the sky. 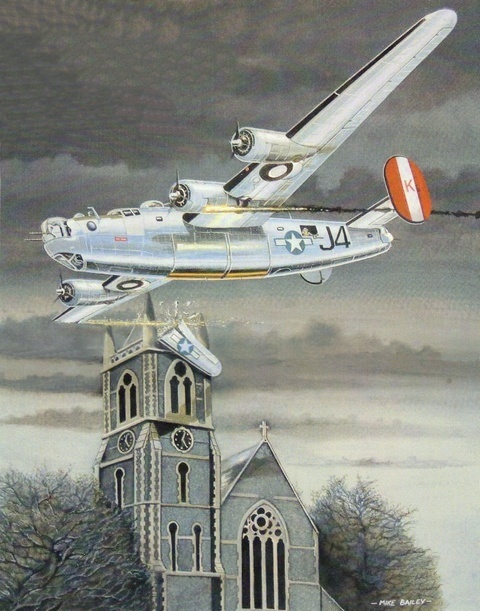 He’d tried to get into the airfield again and he’d circled around the city, he’d passed over Mill Hill Road in a turn, was levelling off from this turn over Heigham Road when his right wing tip hit the church tower. He had no control over the aeroplane whatsoever, carried on about a third of a mile I guess, over the Old Place Road area, over the Heigham Street, over Barker Street, and crashed into the Norwich Co-operation storage depot and, of course, exploded. Nine men on board all killed. If he’d had crashed anywhere short of that storage yard he would’ve hit houses, and I hate to think how many people would’ve died….